Freeman Dyson: speaking out on "global warming" | Watts Up With That? Freeman Dyson: speaking out on "global warming"
This is a well written essay by the New York times on Freeman Dyson. Dyson is one of the world’s most eminent physicists. As many WUWT readers know he is a skeptic of AGW aka “global warming”, even going so far as to signing the Oregon Petition, seen below. You can read an essay about his views on climate change, posted here on WUWT on 11/05/2007. I hope Michio Kaku becomes a skeptic too. He is a AGW believer now. But I refuse to believe he is going to stay one. That is the Dyson that invented the Famous “Dyson Sphere”… which idea was seen on Star Trek Next Generation… when Scotty put himself in a transporter loop. Talking of sphere… it’s 10:47 pm Pacific Time and there is a small speck on the sun. But according to the magnetogram the latitude seems right for a SC24 but the polarity is still not well defined: it’s almost horizontal. The fact that he signed the discredited Oregon petition speaks volumes – http://en.wikipedia.org/wiki/Oregon_petition. REPLY: DJ It’s only “discredited” by people like yourself. Your brethren warmers set out to crash the list with fake names, just so they could write such things and then have the Wiki entry suitably crafted by William Connelly and Kim Petersen. At least Mr. Dyson has the COURAGE to put his name to his belief, unlike you “DJ”. Thanks for the story and especially for the link to the full article. I particularly loved the contrast that was provided between Freeman Dyson and James Hansen. An “eminent physicist” holding merely a B.A., yet sees more clearly through the mist than the “consensus.” It would be interesting to contrast his “inventive spirits of uncredentialed brilliance” to some of the dolts out there with Ph.D.s. Mendel (a monk); school drop outs Orville and Wilbur Wright; home-schooled Thomas Edison; dropouts/computer wonks Paul Allen, Bill Gates, Larry Ellison, and Steve Jobs all come to mind for their brilliance. Jimmy Hansen wishes he could be so special. Dyson is surely a hero of empirical science and a spirit of the elightenment. It seems to be the last refuge of a scoundrel to discredit someone because of their age. I am glad that Freeman Dyson has a friend in Dr Oliver Sachs to help out. Another great original thinker just turned 90 is James Lovelock ,and still publishing. Even as a liberal, I agree with none of the man’s political positions (nukes, “peace”, Obama, whatever). But when it comes to science, I deeply admire his interdisciplinary approach. Take the one about how CO2 output was flat (or even declined) during WWII. 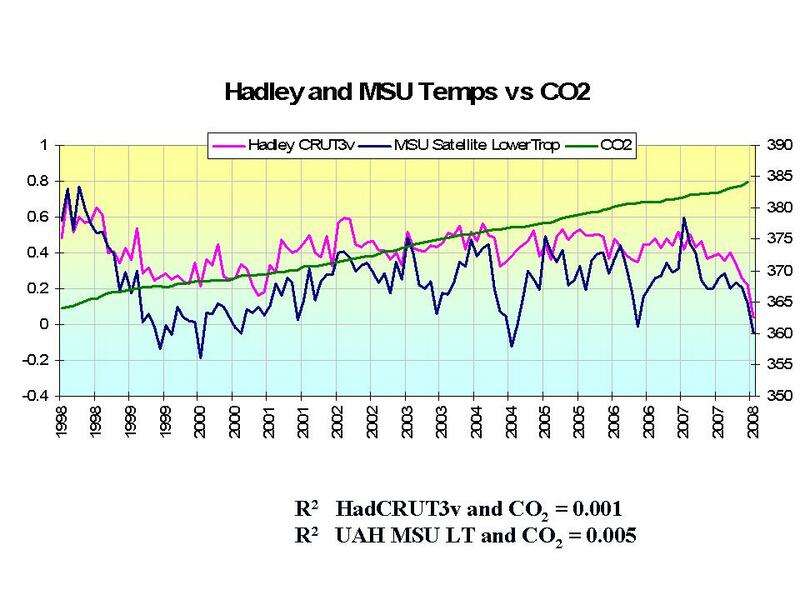 So, no spike in CO2? And if not, no loud questions as to why not? Even on this blog? Apparently none of those AGW scientists ever took a history course. It seems to be the last refuge of a scoundrel to discredit someone because of their age. Many of the loudest AGW voices took few science classes as well. I have heard that Mr. Gore had one college level science course (in which he got a “c”) and Pachauri, an economist, has been titled “chief scientist” at the IPCC, but was trained to manage elements of a railroad. But then, it’s not about science or history is it? What a breath of fresh air! Freeman Dyson reminds me of the late Hugh Matthews, with whom I worked at the Sperry Research Center (last of the old corporate think tanks) many years ago. His unbridled curiosity, his ability to see past “what everybody knows” and his unflinching regard for “truth for its own sake” without regard to personal fame and reputation is the kind of intellectual purity to which many have aspired at the beginning of their careers, but few have achieved over the long haul. Hugh would be proud of him. Of course, I am assisted in my gushing appraisal by the fact that Freeman Dyson agrees with my (a rank amateur’s) assessment of “Manmade Global Warming”. No, I didn’t. And I’ll be happy to! I’ll be in touch. I’ll even dig up some nice, smoky WWII pictures. a wonderful article on my favorite heretic! highly recommended for passing around to ones “intellectual” AGW friends… the perfect “Earth Hour” gift! Thanks for the article – it was an engrossing read. What an incredible human. It’s a shame there aren’t more like him. I loved his reply to his wife when she said she would like a Toyota Prius – he described it as a rich mans toy! He also took Hansen’s slap down very well. Good on you Mr Dyson. You have my respect. Have you ever been questioned about what famous person you would like to spend the day with? I’ll move Freeman Dyson to the top of my list. I even would like Imme, but she would have to learn about Al Gore lying about the polar bears (and all the rest). The full article is very good. By the way, I think the common view of the general public is that a scientist is someone with a Ph.D. , and that a scientist is someone who has lots of scientific knowledge, the stuff that is taught in classes. What is not common knowledge is that that isn’t the most important part. To be a great scientist is a matter of doing (thinking), not just knowing. They do not and cannot teach that in courses. But it rubs off; you can get it from working with great scientists. Follow the path of physics Nobel prizes through the chain of scientists mentoring other scientists. Heat-related deaths in Australian cities are set to soar as a result of climate change and rising urban pollution, a CSIRO scientist has warned. Heatwaves could double the number of elderly Sydneysiders dying from heat stress and associated problems over the coming decades, Martin Cope told a conference at Burswood yesterday. The number of days above 30C was set to rise 20 per cent by 2050. In the same period, the number of people over 65 will rise 25 per cent as the population ages. According to the Australian Bureau of Meteorology, the mean temperatures so far in March for Perth, based on combined recordings from Perth Airport and the suburb of Mt Lawley, are min 14.9 and max 29.1 (so far, with the forecasts for the next five days being 16/28, 14/26, 14/29, 13/25 and 12/26 – i.e. both averages are likely to be lower at month’s end). The combined average March mean from those same locations dating back to 1944 (airport) and 1994 (Mt Lawley) are 16.15 and 29.55. The earliest March records for Perth are from the Perth Gardens location from 1876 to 1930 (16.1 and 28.4) and Perth Regional Office from 1897 to 1992 (16.8 and 28). For a comparison, it’s worth looking at the raw data from the Perth Gardens location within “The Climate of Western Australia 1876-1899” (http://www.archive.org/download/climateofwestern00cookrich/climateofwestern00cookrich.pdf – 28mb PDF). How about the mean temperatures? Of course, historic comparisons pre-1910 aren’t accepted by the Australian Bureau of Meteorology but it looks to me as though almost nothing has changed in 130 years, except we’ve had some very cold summer nights this year and it doesn’t get anywhere near as hot during the day. This is despite Perth being an urban heat island… the population in 1881 was 5,044 and this year it is 1.65 million. I did not know the Dyson story. Great and inspiring read. I particularly liked the point that at a certain level of intellect and accomplishment, a PhD in a subject is superfluous — better to be a brilliant “so called” amateur with an open mind. In any case, a person who taught himself calculus in a few days at the age of 13 and then followed a multi-disciplinary professional life has far more credibility regarding AGW than any climate scientist who has not followed the same path. Stephen Hawking is a critical thinker, no? His credentials are certainly on par with Mr Dyson. Stephen Hawking believes that man is accelerating Global Warming. Just google his name and GW. My point is that scientists and ametuers of all ranges of credential can be found on both sides of the issue. This is what we need to focus on, so that we can use that fact to stop politicians from MAKING POLICY on science that is clearly NOT SETTLED. Saying “AGW exists” or “AGW does not exist” is the same is saying God does or does not exist, IMO. From my agnostic perspective, either one is plausible, but it’s UNKNOWABLE. Atheism takes just as much “faith” as Christianity, but both sides argue that the case is settled. It’s not settled, and policy should not be based on things that are not settled. Stephen Hawking hardly ever has time to research climatology. If he is told that CO2 traps heat, which it does, then he’ll go the full hog and believe the models too. That’s how many of us used to believe in AGW until we saw that things are much more complex. Whilst calling something “religious” can be an insulting attack, perhaps we are getting to the point where we start acknowledging things for what they are. Functionally, religion tells us how we should live and what is moral and immoral. The parts of the environmental movement which take the approach that they need to change our behavior, and change our values from consumerist to green care and “balance”, these are moral demands. They require that we place the environment as the thing which is of ultimate concern. Bear in mind that not every traditional religion has a god figure, but they all concern themselves essentially with telling us how we should live our lives and what our moral choices should be. Environmentalism is functionally religious. The full article is certainly worth a good read, wow!! I am going to printout the article and sit back and slowly read my way through it. Saying “AGW exists” or “AGW does not exist” is the same is saying God does or does not exist, IMO. From my agnostic perspective, either one is plausible, but it’s UNKNOWABLE. AGW is real, not a matter of faith. Man does contribute to climate change, and even though we must minimise our negative effects (because we can also cause positive changes) on the climate, our activities contribute to only a small portion of the perceived warming (though it is almost all in or around urban areas), not all of it as the Alarmist camp makes out. If we were responsible for all global warming and climate change, then the Alarmists would be “deniers” of natural climate change, not the Realists/Skeptics. Nice article, but the antiquity is wrong. Dyson published the headline article in Physics News (a suppliment co-mailed with Physics Today to APS members) criticizing global warming models (back when it wasn’t politically incorrect to say “global warming”) and arguments for anthropogenic influence a good 10 years ago. And there is nothing wrong with that. Dyson said it is a religion we can all get behind. Nearly all religions have concerns about man’s impact upon the environment and wildlife. The problem is admitting that Environmentalism is a religion in the first place. Many are scared to do that because they think they won’t be taken seriously, especially the Marxists who guise themselves in Green language yet have contempt for religion. A religion puts itself apart from the field of science, so why should Environmentalists be allowed to take part in scientific debates? So they would not call themselves a religious movement, officially. The other problem with them declaring themselves as a religion is that they would not be allowed to guide or force government to adopt their policies because the US Constitution bars such a level of religious interference, and that they would also come into conflict with traditional religions who will want the same level of government, media and celebrity attention. Those environmentalists who advocate Direct Action are already being equated with jihadis. And like Islamic extremists they are not so much a grassroots movement but are guided and financed by wealthy profiteers and rent seekers. This is a great story, very uplifting! Thanks to Anthony for posting it. The NY Times is now requiring signing in to read it, but it’s well worth the minor inconvenience to be able to read this article and compare a real scientist [who was a contemporary and friend of Oppenheimer, Bethe, Feynman, Einstein, Fermi, etc., and who unified quantum and electrodynamic theory] with some of today’s self-aggrandizing grant chasers [Mann, Hansen, etc]. Many years ago I read “Infinite in All Directions”, and was so impressed that I read all Dyson’s other books. He has a way of explaining science and the universe in a way that’s easy for anyone to understand. Your mindset is so conspiratorial. The reporting of the NY Times reflects the fact that the overwhelming majority of climate scientists believe the AGW is real. I don’t see that reporting this makes them a “standard bearer”. This story is only tangentially related to global warming. Most of It is basically the life story of Freeman Dyson, if you read the whole thing, rather than the excerpt. It is a fascinating and well written piece of work, and Dyson is a very interesting man, who could be right or wrong about global warming. Dyson is spot-on about observation: There are critical gaps in it. The Sunspot record is one of them, and no amount of proxy-magic can replace those gaps. I see it. Infinite in all directions, including solar. In a world of blind models, the one-eyed observer is king. Who do we insist on seeing ourselves as agents of destruction? I see man as nothing more than another factor in the entire scheme of life, Earth, Sun and universe. To say man does contribute to climate change is equivalent to saying volcanoes contribute to climate change: OF COURSE THEY DO. THEY ARE BOTH (volcanoes and man) part of the entire system! Forget about the argument of YES/NO on AGW: Should we be making policy on it? If your answer is “yes,” then your motives are purely ego and control, and have absolutely nothing to do with saving Earth…Earth can save itself, whether we’re here or not. The fact that AGW is real does not make it consequential, and framing the argument that way misrepresents the situation. AGW is so minor that it can be disregarded. The real question is: will human produced CO2 lead to runaway global warming and a climate catastrophe? All the available evidence says No. As you say, I suppose it’s possible that Prof. Dyson could be wrong, and therefore the UN/IPCC’s political appointees could be right. But that’s not the way to bet, is it? I could scare you by telling you that there is a rabid dog in a bedroom in your house — and for $1,500 I will take care of the problem. Would you hand over the money, or would you want some solid evidence first? I could not agree more. Why do you think catalytic converters were invented for cars? When the toxins are taken out, the effect is dramatic on cleaning up the air. They don’t sequester C02, they convert the toxins, S02 and N02. I really do like this man. Scrub it, stupid. (in the vein of it’s the real toxins, stupid). AGW plans are foolish and utterly wasteful. Go back to your superfunds, Mr. Gore. Put some factories to work making SuperCatalytic Converters, Mr. President, and call it a day. How can you doubt climate change? Climate has always and will always change! speaking of Physics, here is an article dealing with cosmic rays and ozone depletion. If true, do we really want to repeat the mistakes of the Montreal Protocal with CO2? I hope not…….. There is enough in the article characterizing Dyson as “old”, “not a credentialed climate scientist”, “contrarian”, etc. to provide fuel for those that wish to discredit him (this is the NYT, after all). Also, he does not deny that AGW exists just that the negative effects are exaggerated and that carbon can be controlled using plants. Particularly liked this passage: Dyson has said that it all boils down to “a deeper disagreement about values” between those who think “nature knows best” and that “any gross human disruption of the natural environment is evil,” and “humanists,” like himself, who contend that protecting the existing biosphere is not as important as fighting more repugnant evils like war, poverty and unemployment. > If only we could get James Hansen to spend an afternoon with Freeman Dyson. Hansen wouldn’t listen, though they might agree with various topics like there are better energy sources than coal, or a cap and trade tax with the proceeds going back to individuals would be better than one where the government keeps the money. If only we could get James Hansen to spend an afternoon with Freeman Dyson. It is not possible to reason someone out of an opinion that they were not reasoned into. No offense intended Anthony, but I think you give James Hansen too much credit. are much more important as a condemnation of what AGW is really all about. The funniest part (in my opinion) is when Hansen says “There are bigger fish to fry…” about the greatest living Physicist. Indeed the Greeks were right: hubris comes before the fall. Excellent article. It’s good to see that Freeman Dyson has not succumbed to the kind of pessimism expressed by James Lovelock re the future of the world. That’s terrific, very well put. Waaaaaay o/t but did anyone else catch this? I think a commenter in a previous thread alluded to this possibility. Rex Woollen grows corn and soybeans. In 2007, the Wilcox, Nebraska, farmer started cultivating a new commodity: carbon. Should we be making policy on it? If your answer is “yes,” then your motives are purely ego and control, and have absolutely nothing to do with saving Earth…Earth can save itself, whether we’re here or not. Alarmist policy, no. Realist policies, yes. Alarmist policies state that man should be nature’s servant and stay within Eden’s limits. I think humans can be nature’s master, and I support a post-human future because solar systems don’t support biological life forever. There are many natural events that wipe life out in the blink of an eye. So let’s escape the cycle of destruction. There will be times when we will need climate science to guide policy. For example, if we were going to decide to irrigate a desert or create new rivers and channels, or even make a species or disease extinct (do Aids, malaria, mosquitos, sharks, etc serve a purpose or can nature live better without them?) we would need advanced climate science and biology to tell us what would happen if we were going to pursue that course of action. Terraforming will be very important future. Climatology will be part of that, so it deserves to be well funded for those reasons. Oh dear, journalists. Mr Dyson is indeed a very distinguished physicist, but the journo can’t resist this inanity: “… thinking alongside most of the luminous figures of the age, including Einstein..”. Check the dates – it was decades after Einstein had made his contributions to Physics. But since Einstein is the only physicist of whom many of his readers will have heard, his name is dragged irrelevantly into the tale. Warming sceptics really ought to remember that the dim fatuousness of journalism is part of the opposition they face. Aron (02:52:27), very well put. Thanks. Robert Bateman (03:35:54), Agreed. I work in a coal fired plant in California and our emissions are extremely low (Except CO2). Accurate motitoring of furnace temperatures, Electrostatic Precipitators, and wet scrubbers remove nearly all of the soot, sulphur, NOX, and even CO.
Clean coal is not a myth. I have spent a good deal of time studying the history of science. 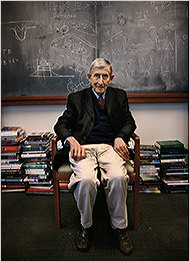 Freeman Dyson is the last great giant of the 20th century revolution in science. But the great James Hansen says he “hasn’t done his homework”. Unlike the aforementioned, Dyson realizes he could be wrong. Putting this as simply as possible; If you can’t convince Dyson, who is a political ally, than you are wrong. It isn’t Dyson who hasn’t done his homework, when he tells you the models are junk you can count on it. Dyson is an expert, probably the expert, on mathematical models. The chunks of ice clogging the Missouri river are so large they have to blow them up! Hurry up evanmjones! I am very interested in reading what you write on this subject and I am always interested in old pictures. Great job Smokey! That post was worth reading and I agree with you. I am glad that we can call AGW what it really is: A Religion. It is an ideology based on faith whose profits are seeking to gain control of other human beings and their lives. Remember, I give a portion of my life to my employer in trade for money, and he who confiscates or controls my money controls my life. I will take my chances with AGW rather than give up the contol of my life to highly flawed people who believe in a ridiculous religion. Thank you Anthony for allowing me to give my uneducated opinion on your forum. 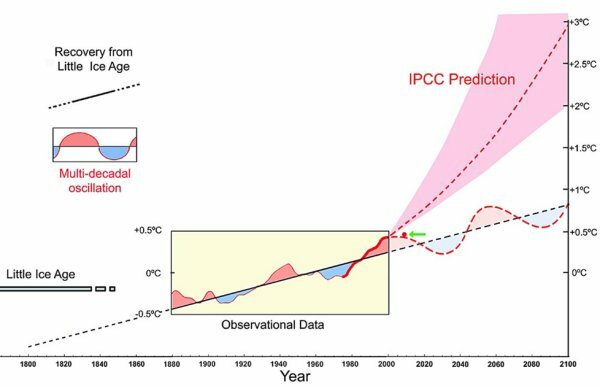 I have many issues with the IPCC CO2 estimates. The ice core data is suspect as it’s well documented that the ice does not perfectly seal in trapped gases. Furthermore, CO2 has been measured many times using many different techniques beginning in the 19th century. None of those documented observations were used by the IPCC. 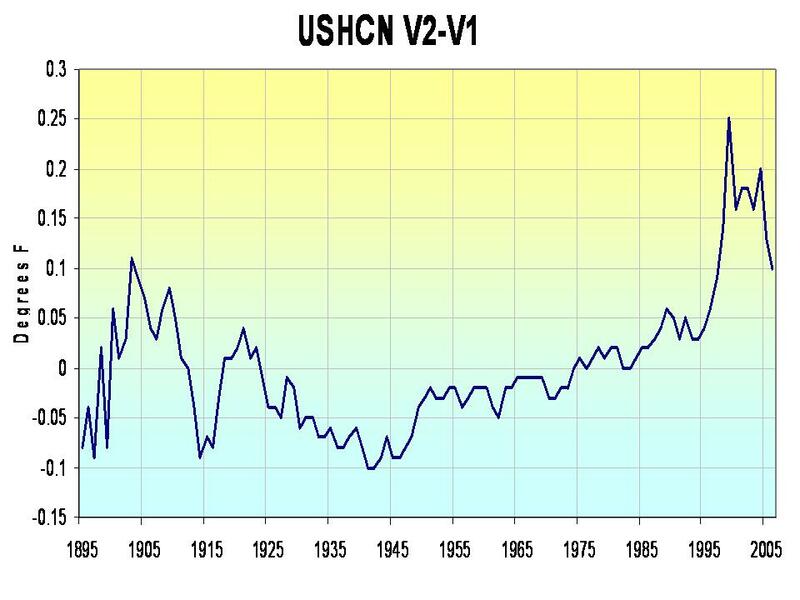 And are we to believe nobody measured CO2 during the 1930’s and 1940’s? No, but the IPCC choose to not use that data. The 1930s are the warmest decade on record and coincided with a global economic depression. What was the CO2 level then? Was it high or low? Was it trending up or down? Seems very suspect to me, too. It’s as if the IPCC selected the datasets to use in order to arrive at predetermined results. Giordano Bruno was an Italy philosopher, priest, astronomer/astrologer, and occultist. Bruno is perhaps best known for his system of mnemonics and as an early proponent of the idea of extrasolar planets and extraterrestrial life…. When Al Gore illustrated in AIT the sea rising 20 feet, the IPCC was only talking about 2 feet. I gather their defense was that whilst they say 2 feet, they can’t “rule out” 20 feet. Well I can’t “rule out” aliens invading so gimme $MONEYS for alien defense lasers. It seems all too common that environmentalists take the science and use it in disingenuous ways. Cracks in the AGW orthodoxy do seem to be multiplying, and widening. Who would have ever guessed an article like this appearing in the very bastion of AGW ideology, the NYT? They are to be commended, I suppose for doing so, though perhaps it is because they see the true writing on the wall – the long-overdue death of the AGW monstrosity. “Shame on the NYT, shame on the reporter, Nicholas Dawidoff, for publishing this crackpot’s crap for millions to read and possibly think is credible. Amazingly, having called Dyson every name in the book, he accuses Dyson of slandering Hansen. Here’s yet another big failure of investigative journalism and scientific research. 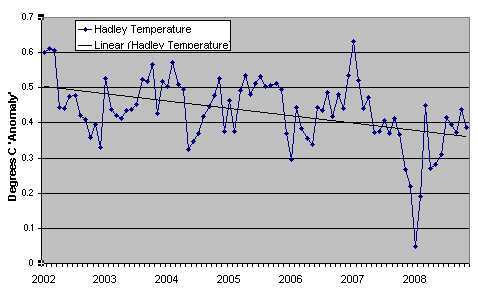 It says climate change is killing off the cranefly and that the Peak District has seen an increase in temperature of 1.9C in the last 35 years. When I saw that number I knew right away it wasn’t climate change as that rate of warming is over five times higher than the rate of warming per decade averaged out across the UK. So it is no surprise to see that the area they sampled is between Sheffield to the east and Greater Manchester to the west. Both of these urban areas have grown at a faster rate than the rest of England as wealth and development has spread northwards. It’s not climate change or global warming. Again, it is warm winds carried over from urban heat islands. There is no danger at all to those species from that urban warming. The cranefly is a migratory species that covers most of northern Europe and likes to invade warm homes. The birds that the article mentions are also migratory and have a varied diet. The golden plover isn’t even native to England. It was originally native to the Americas and Eurasia and like the pheasant was introduced to Britain by humans. It is a very adaptable bird. A good story on a True American Icon. I imagine few people here have read, The Starship and the Canoe, a unique double-biography of Freeman Dyson and his son, George Dyson, written by well-known environmentalist Kenneth Brower. In the 60’s, while Freeman helped flesh out the details for NASA-funded Project Orion, a Chicago-sized, atomic-powered spaceship, his son George essentially “droped out” and became a back-to-nature devotee, obsessed with his own project – creating a baidarka, a bark canoe, on a gigantic scale. It’s a good book, contrasting the two men, both of whom obsess about building something unique. The climate hasn’t in fact profited from these developments. As astonishing as it may sound, the new wind turbines and solar cells haven’t prohibited the emission of even a single gram of CO2. Regarding the BBC article I linked to. Conversely, the BBC ran this article two years ago saying there was an explosion in the population of daddy longlegs. Since global temperatures have fallen since, how could they run an article three years later saying climate change was killing the species off without questioning local urban heat island effects? maz2 (06:21:33) : “Giordano Bruno was an Italy philosopher, priest, astronomer/astrologer, and occultist. Bruno is perhaps best known for his system of mnemonics and as an early proponent of the idea of extrasolar planets and extraterrestrial life…. My distant relative was burned by the Church because he did not subscribe to the Earth as the center of the universe. He was a proponent of Copernicus’ Sun centered universe view. He travelled extensively throughout Europe and was lured back to Italy by the Church who punished him for his heresy. Perhaps being a skeptic runs in the family. Love it. I wonder who but the NY Times could reach The Grand Warming Mufti by phone? This is a very good article: Kudos to Nicholas Dawidoff and to the NYT editiors who let it run. Many, many thanks for bringing it to my attention. The only things I normally trust in the NYT and BG are the ball scores! Dyson appears to have the admirable ability to cut through the twaddle and get to the heart of an issue. No wonder all his instincts scream that catastrophic AGW is unproven and doubtful. I, too, am a signer of the Petition. I jumped at the chance when the Kyoto folks had their faces in the bowl so long as to affect world policy. I was one of those “rocket scientists” who worked on many early programs, including the Apollo (the latter only for a little while). I specialized in extra-terrestrial thermo-magneto hydro-dynamics (one of my favorite beer-getting buzz words), and took courses given by Rosen and Larmore, including lectures by Sydney Chapman. So, when Freeman Dyson came along and cobbled together that incredible “book review,” I rejoiced. It allowed me to refer to the voice of an elder statesman on the order of Teller, Einstein, and others…Teller also being a signer, by the bye. It’s been awhile since the Guardian ran an article like this one. But it is far outweighed by the daily forcefeeding of hysteria and anti-capitalist tripe from Monbiot, Pearce, Goldenberg and Vidal. More on the Maldives too. images give good over-the-limb views. Are there possibly four Sunspecks on the Sun at present? The Stereo http://stereo.nascom.nasa.gov/browse/2009/03/26/ images give good over-the-limb views. Are there possibly four Sunspecks on the Sun at present? The Beeb’s contribution to this debate would be laughable if it wasn’t so pathetic. I wonder if they’ve managed to work out that crane flies and daddy long-legs are the same thing. A letter in the Daily Telegraph today http://www.telegraph.co.uk/comment/letters/5050737/The-Government-is-naive-to-support-environmentally-flawed-wind-farms.html takes the RSPB to task for its sudden support of more futile wind farms arguing that it’s not just a question of birds flying into the blades but the whole effect on the local habitat especially where over-wintering migrants need the space. You would assume that the RSPB know what they’re …… nah! maybe not! The lead letter is worth a look as well. Milliband minimus trying to pretend he’s all grown up an’ all. Didn’t Richard Feynman say somewhere that he gave up university life because, outside it, he could think better? I’m not surprised at all, given the BBC’s complete lack of critical thinking when it comes to AGW. Next we’ll probably see an article entitled “Cranefly population alarmingly static – could climate change be to blame?” They will then have covered all eventualities. There’s a lot of funny accounting going on in the energy advocacy business. That Der Spiegel report emphasized that it was the trading system, not the wind power itself that failed to live up to expectations. Hence the wind power still works fine within its known limitations. It seems though to be a common tactic to compare the construction cost of wind farms with the running costs of a nuclear facility which is just downright dishonesty. When you include all the costs including construction, safety and decommissioning, nuclear isn’t that hot an option. The main advantage seems to be in smaller land use, bu then most wind farms are stuck in places where its too darn windy to live anyway. Also if you were to say that the Iraq war and the previous Gulf war were both effective fossil-fuel subsidies (surely even the stalwarts must by now admit that it was all about the oil), then oil is therefore hugely subsidized too. Coal is a cheap option but clean coal most certainly wouldn’t be. It really all depends how you add things up. It doesn’t help that the nuclear zealots have usually (bizarrely) been given full control over all alternatives to nuclear. One day I hope to find some trustworthy numbers. That’s standard operating procedure for ice dams. Quick and usually effective. It’s not so much to blow apart individual pieces, but blow apart multiple pieces that have stuck together to form the dam. In the links posted by Richard Heg (00:40:50) : Dyson mentions several times that atmospheric CO2 can be controled more easily by managing plant stock than energy production. Dyson suggests changes in forest management or irrigation, but a simple way to make a big dent in the carbon cycle is to stop recycling paper and other wood products. Trees and plants capture CO2 through photosynthesis and landfills, especially modern landfills, capture through entombment. Yes, a small amount of carbon mass escapes mostly as methane, but that can be captured as well and put to use. The next step would be to end the practice of incinerating trash which returns the captured CO2 directly to the atmosphere. The landfill technology and infrastructure is already in place and increasing capacity would be a simple matter. Before commenting on “running out of space” for landfills, please do some calculations so that you have a true understanding of the area involved – It’s not like I’m suggesting power generation through photovoltaics! 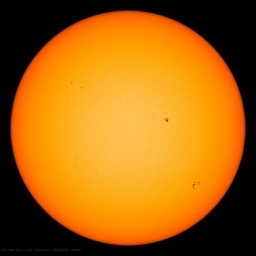 Robert Wood, if they are not visible on the visible image of the sun, they are not sunspots. In any case, it seems that the polarities are all screwed up, not too sure if they could be SC23 or SC24. You can also see a burnt diode. You must understand that we must control emissions no matter what. Removing those emissions from the atmosphere later, or mitigating the effects of those emissions just isn’t allowed. It does not matter if it’s cheaper or more efficient to adapt, capture or mitigate effects. Oh sure, we can clean up afterward so it’s like the emissions didn’t happen. Except that we will know they did happen and so that just can’t be allowed. Yet Another Pundit (23:16:14) “To be a great scientist is a matter of doing (thinking), not just knowing.” I could not agree more. People outside the science fields look for credentialing and papers published and who knows what to discern whose opinions to follow. These are red herrings. There are thousands of scientists who actually make things work in industry and manufacturing via the physical sciences and math everyday. They know the limitations of sitting at a desk fiddling with models that have little to no relation to reality, and which never lead to doing. They don’t care about getting published, or soliciting help from someone with credentials, they want to get a job done, solve some problem that has not been solved before, or discover some heretofore unknown limitation that hadn’t been previously quantified. These are the real scientists with or without credentials. The thing that can’t be taught in class is what I think of as a ‘BS’ detector, without one, you’ll get nowhere in the real world, and the better a one you develop the more you will be rewarded. It maximizes efficiency in doing. Without the doing part, it is all hypothesis, and never becomes more. Oh, please. The rest of us could only wish to be as lucid in our prime as Freeman Dyson is at his age. I’ve always regarded thinkers such as Dyson to be the real scientists. Everyone else is just a technician. I think you meant indoctrinate instead of education! Definitely worth the watch. Wish we could have it played in both the Senate and the House. Slightly off Dyson topic but still relevant if a little old. Check this out. Nice to see that students coming up through the school of New Labour indoctrination have stubbornly refused to close their minds to “off message” idea. Well done those bonny chaps and chapettes. Perhaps you can address some of the points raised in the following? You may wish to leave a comment. The problems with those very windy places is that they are often far away from population centers, too. Also, we for some reason can’t put a regulator on the wind so it blows exactly when we need it. And when you think about building how many million 40 story tall wind turbines with their four story deep concrete bunkers, constructing them to replace our current nuclear plants, which rather than being decommissioned just keep plugging along, does seem a bit daunting. Makes you appreciate coal, though, especially if your a poor country like India and China, as Dyson pointed out. So, urban heat islands do not contribute to AGW? 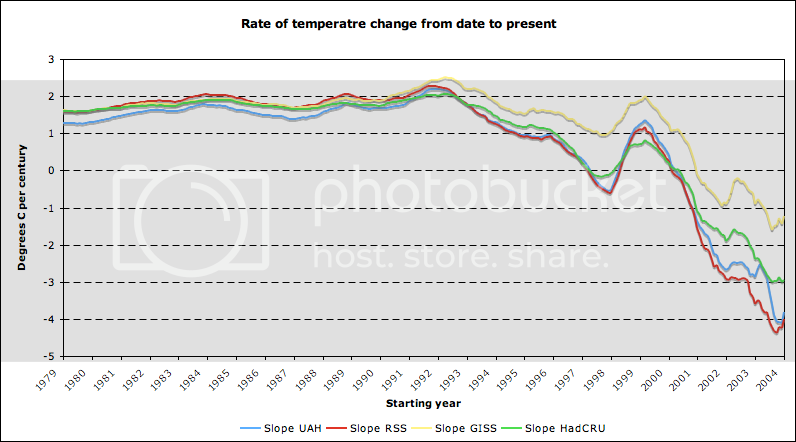 OK, I see…it’s only contributing to AGW if it isn’t measurable! 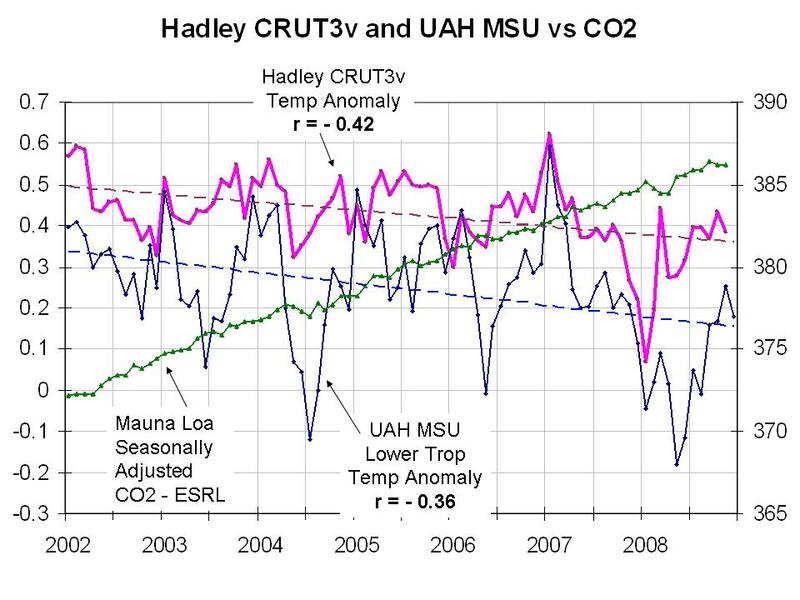 From your other post, I’d have to conclude that this *IS* AGW, and it must be funded (its correction). This may be a bit convoluted but I hope you stay with me. The overriding issue in all this is the concept of “catastrophic anthropologic global warming” or CAGW — this acronym has the advantage of sounding like you are choking when you try to say it. Dyson seems to harbor more of an influence for CO2 induced changes than I do but he doesn’t favor the catastrophic aspect. He recognizes serious problems that something can be done about. I think we are beginning to see more people realize the futility of trying to change the climate by reducing CO2 production. The theme is “Despite Europe’s boom in solar and wind energy, CO2 emissions haven’t been reduced by even a single gram.” What has happened in German is that within-country production of energy has been diversified while CO2 production has been moved to other countries for a net benefit to climate of zero. I’m not surprised by this and here is a non-climate related personal reason why. I’ll keep this short. In 1980 we bought a Chevy pickup with so called saddle bag gas tanks. Soon after the courts were involved in declaring this model deadly because a side impact might cause an explosion. About 20 years of litigation later, owners were offered a coupon for a small discount if they traded such a truck on a new GM vehicle. The point is that nothing was done to remove or fix the problem tanks. The incentive was to shift the problem to those less financially well off. Sound familiar? I like to refer friends to the following article by Christopher Monckton . . .
. . .especially the last page where he uses a series of “Even if … ” statements to establish a common sense approach to problems rather than accepting the costly but useless schemes promoted by CAGW believers. 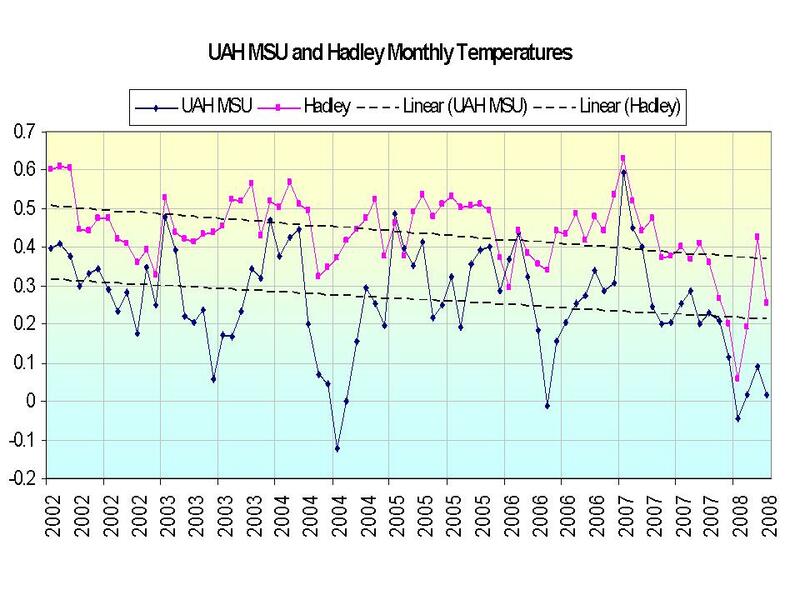 So, urban heat islands do not contribute to AGW? When Alarmists talk about global warming they mean a worldwide change in the planet’s climate caused by human activity that spans almost every square mile of the planet. They don’t mean a regional unavoidable effect. They mean a global change that can be avoided by regulating human activity and forcing new technologies onto the market before they are mature enough for popular use. That kind of worldwide change spanning so much terrain and airspace cannot be caused by urban heat islands or human activity. It will be from mostly natural factors. When I talk about climate change I mean almost exclusively urban heat islands and measurable/visible pollution. Urban heat islands will always exist, no matter what technology we use so UHI should be eliminated from the question of global warming/climate change. The BBC article failed to make mention of any UHI contamination of the Peak District even though it is obvious and as usual treated wildlife as being dumb and incapable of adaptation. Insect and bird species are more adaptable than humans! Speaking of Mr Dyson, Dr. Connelly and Wikipedia I noticed that almost all of Dr. Connelly’s once extensive input in the discussion of Mr. Dyson’s wiki stub has been deleted. Same thing with your. In fact a lot of the discussion Dr. Connelly had over skeptics bio’s has been deleted. I wouldn’t be surprised if Dr. Connelly finally realized that he is subject to the strict libel laws of her majesties’ empire and has recently wiped his slate clean. Mr Dyson is a national treasure. John von Neumann and Oskar Morgenstern were probably acquaintances of his. Oskar Morgenstern wrote a book in the late 1950’s or early 1960’s on the accuracy of economic measurements. In that book he mentioned something by Norbert Wiener about computers. If my weak memory serves me correctly Wiener was mentioned as being worried that computers would be abused because calculations would be so easy and thought and theory would be neglected.Isn’t Mr Dyson saying about the same thing with regard to “climate change”? And isn’t it amazing Hansen a big time user of computers and shall we say questionable user of observations accurate or not would say “there are bigger fish to fry than Dyson”. In my opinion, Hansen can’t hold a candle to the toe of Dyson as the saying goes. They don’t make them like Dyson, Wiener, Neumann, Morgenstern ,Teller,Mises, Hayek,Salk, Fermi and others of that generation. perhaps Jim you would like to summarize the 6000 coments? I read the entire article, long but worth the time. I would argue that getting environmentalism a religion is something we should all push for so we can sue to have global warming policy removed from political debate as a violation of the separation of church and state. for this so I can read more. It sounds interesting. UK Sceptic – thanks for the link. The article refers Forsinard, Caithness which is part of The Flow Country. and being told about all the new species of birds which will be attracted by the trees. Reality the RSPB has owned this area since the early 1990’s! Since the RSPB took over Forsinard all they have done is killed off the daddy longlegs. Next they will be erecting wind turbines on the site. In my view this is an article is an attempt to heal yesterdays massive harm over wind Farms. It is trying to make out that RSPB is a conservationist organisation. I’ll not being giving generously to the RSPB ever again. Well maybe when I go up to see my Ospreys at The Lock of the Lowes. Yes yes yes I’ll give generously. All the CO2 in 5 minutes. Wow, never knew that, never thought about it. So is intensive farming – ploughing – causing CO2 to rise? Is this taken into account with sophisticated computer models? Well, I think that I would choose, eh..
What a man what a brain. Gloves and hats only to protect hair and nails from soot. When I mentioned clothes I said they were capable of wearing jackets even in the summer because they didn’t feel the full effect of the sun like we do today, unless they ventured far from the cities. We can see that as the Clean Air Act took effect the use of hats, gloves and heavy clothing dropped off at the same rate that the smog vanished. From the 60s-70s onward people no longer had to protect themselves from soot and they started to enjoy more sunlight on their skin. Conversely popular use of hats and gloves took off in the first place as cities began to get dirtier and smokier in the 1600s. There was a great site full of Victorian stuff, a really treasure trove full of first hand accounts, issues of Punch, news articles, short stories, etc. It explained a lot about the fashions of the day. I think it was http://www.victorianweb.org but it looks completely different from the one I used to visit. I was looking at some old photos at work of our business’s founder back in the late 1800s. I found in almost every photo there was smog, even in the country surrounding London. “Gloves and hats only to protect hair and nails from soot. When I mentioned clothes I said they were capable of wearing jackets even in the summer because they didn’t feel the full effect of the sun like we do today, unless they ventured far from the cities. Yes the Clean Air Act what a difference it made to our cities. Living in a large rural town in SW Scotland the Clean Air Act does not exist. I often put on the cars air re-cycle when I drive through Cairnryan; trust me you need it, especially when you cannot see the road ahead due to chimney smoke. Cough, cough cough …. One of my students had very bad Asthma and one winter he was on his knees. I asked him which University he was going to. Good I said your Asthma will clear up, the air is so much better in Glasgow than here. Guess what?????????? Yet you would think, or told, that country air is better. This petition has more potential to do damage to AGW hysteria than any other thing. This is why people like DJ reserve their best attacks for it. Every name on the Oregon Petition was verified befored it was presnted to the President. The Oregon Petition has never been discredited. In the pretend world of a greened Wikipedia it may have been called in to question, but not in the real world. The fact that you would say this DJ “speaks volumes” about you. Thinking scientists who are believers in AGW but then see that Freeman Dyson is not may find cause for pause. I am looking forward to seeing it Mr Jones!! For what it is worth, there are other contemporary fields of inquiry in which the dogma of the overtenured has become the opiate of undergraduates. Well, asthma can be caused by genetics, illness and viruses. I wrote the other day that environmentalists were linking CO2 to an increase in asthma when there is no evidence to suggest such a link. There is however evidence to suggest that some asthmatics have been cured using breathing exercises which retain more CO2 in the lungs for the duration of the exercises. My brother’s asthma was cured by this method. I always used to suffer badly from Asthma, perhaps caused by pollution in my younger days, perhaps by being allergic to our various dogs. I had an operation to deal with an eye problem 10 years ago and from that day to this I have not suffered from Asthma even during the summer when I used to get hay fever which aggravated the condition. I put it down to the anaesthetic purging the system in some way as the Asthma had literally cleared up when I woke from the operation. Strange but true. You guys are missing the point. Dyson’s expertise WAS theoretical physics. He was one of the pioneers of Quantum Electrodynamics, the “Strange theory of the interaction of light with matter”, and prototype for ALL Quantum Field Theories, which are so important both to all particle physics and to attempts to discover a quantum theory of gravity. But WHAT has he done since then? And HOW is any of that relevant expertise to issues of climatology and atmospheric science? The answers to these questions do NOT encourage me to believe that he is being scientific when he criticizes global warming/climate change. Also, even if he is free from the various age-related dementias, that is no guarantee that his thinking process is as sound as in his youth. Sometimes people just get crochety and opinionated as they get old. That could be what happened here. This may be a bit convoluted but I hope you stay with me…. Not convoluted at all. This model of working with nature is what true environmentalism is all about…a story. I am from the Pacific Northwest but now live on the east coast. Two summers ago I got up off my duff and spent a week backpacking in the Sierras. It was truly a lifechanging experience for me at 50, to return to real mountains and do some serious backpacking. I got in about 25 miles, to a place called High Lake, just north of the Yosemite wilderness, about 9,000 feet in elevation. While I was there, I met two local ranchers, who had come up by horseback. They explained to me something about the recent history of the lake: “environmentalists” had been trying to blow up the shallow concrete damn that forms the lake, which was built in the 1930’s as a WPA project. I was shocked. I consider myself an environmentalist, and at one point in my life was actively anti-nuclear power (now I am still pro-solar, etc, but not so anti-nuke, especially because of pebble bed reactors, which I realize are a huge improvement over older technologies). But I could not for the life of me understand why anyone would want to destroy that beautiful mountain ecosystem, created by human engenuity working with nature to enhance what was given to us….I think of the long history of the Japanese aesthetic of rock gardens, etc., where human labor is used to cultivate an originally natural space, so that what is produced is with nature but also an expression of the human spirit. Why is that so many Americans have such foolishly narrow notions of an imposed and artificial distinction between man and nature? Love that, not man apart from that . . .
Jeffers spent a good part of his life building a house, stone by stone, and he understand that we are not separate from the stone, and the stone is not separate from us. Sorry if I’m getting too metaphysical. I guess I’ve been waiting to share that story…. Antony, keep up the great work. OT i know, but just wanted to inform him. MattJ (16:48:14) commits the ultimate completely baseless ad hominem attack. I agree with MattJ. I think we should only listen to scientists under the age of 10 to be sure that age has not degraded their thinking capacity. Why you young whippersnapper, it looks like you might be a little opinionated yourself. Why don’t you try to say something nice about your elders? Besides, what makes you think that Mr Dyson even knows how to crochet? And what’s wrong with crocheting, anyway? I’ll not take the Ice Age. IPCC, Keep your grimy hands off my CO2. I like growing things to eat. I also like the antifreeze capabilities of C02. Keeps them IceAge Gremlins at bay. Start worrying about getting crops moved to warmer climes as this Deep Solar Minimum drags on into a Grand Minimum. evanmjones, the reason WWII did not see a major spike in CO2 output was 2 fold. First, the buildup really began in 1937, and was more a transition from one product to another. Plants making cars began making tanks, plants making desks made riffles, etc. The stops were not pulled out until 1940 in England. Germany did not go to full war production until 1943. To say nothing of the Great Burning. But more on that later. Second is MAN IS NOT THE MAIN REASON CO2 IS GOING UP. The lack of a spike may well be evidence for that. Also, Antarctic proxies were used (and there are other problems with ice cores that are enumerated in the earlier comment). To the others: Working on it. How old is James Hansen? And, is he a climatologist? Haven’t you heard, this is the novel attack. This is as far as guys like Matt can go–the latest thing they’ve read on the internet. Don’t worry, he’ll jump on board the next angle of attack too. Dyson NEVER said that GW does not happen. What he said is that modelers overestimate the effects of CO2 on GW. He NEVER said that GW is not produced by human activity. He said that AGW is not necessarily bad. Read the Oregon Petition: It does *NOT* say that GW or AGW do not exist. It says that the Kyoto agreement would have been detrimental to the economy, and the GW is not harmful – which is VERY different than saying that GW does NOT exist! “You guys are missing the point. Dyson’s expertise WAS theoretical physics. He was one of the pioneers of Quantum Electrodynamics, the “Strange theory of the interaction of light with matter”, and prototype for ALL Quantum Field Theories, which are so important both to all particle physics and to attempts to discover a quantum theory of gravity. Nyet, you miss the point. FD sat down and designed from scratch. Patented a nuclear reactor in 3 months that was designed and built and licensed in under 3 years. He wrote “Origins of Life,” every bit as complete as “Schrödinger’s” what is life with the hypotheseis of the double origin (one for the hardware and one for the software) including some interesting suggestions on molecular chirality. He has substantial work on both theoretical and engineering solutions for space research,including optics. Lets compare him with, say, a climate scientist such as Tobis, who orchestrated a rather vitriolic attack in the NYT. If they are his selected papers after 20 years, I would suggest the University ask for their money back. Papers published by students of moscow mathematical boarding school number 18 have more scientific significance than those. This is what we say every day so what are you saying? Who said climate change does not exist? Surely not the people mentioned in the article. It sounds like you may “getting it”? The words you have written precisely explain the way most here think about AGW. We agree with Dyson. If you agree with Dyson, you agree with almost everyone here. Please stop trying to pull the unwary into agreeing with your outlandish statements. Apples with apples. I think you’ll find that nuclear facilities are about the same distance from population centres as wind farms are. And any that aren’t darn well should be. As for the costs, that’s the point, I’d like to know just what are the real costs per Joule, without all the disinformation and bias. Wind farms should keep chugging along just as well as nuclear in theory. There are just too many people denigrating one technology while blind to the failings of their favourite. Most arguments I’ve seen against wind power are totally risible. Noisy, ugly, bird killers? Utter rubbish! Costly? Just looking at them you’d think they really should be cheaper than nuclear Joule for Joule, even assuming just 30% uptime. India are going for thorium, since they have a lot of it. Again that’s the point – we should use what we have in abundance; geothermal, wind, solar, thorium. Coal will still be needed but we still need more energy in the future than coal can supply. There are fools actually naive enough to think that by living in a rationed society that we can maintain most freedoms by abandoning some freedoms. Actually there’s another wind strawman – that wind power is miles from populations. Anyone who says that has to ignore that wind as a fuel doesn’t have to be dug up, processed, distilled, pressurized, sent through pipelines, transported by ship etc to get to the power plant in the first place. So it’s actually a closer fuel source than any of the alternatives bar geothermal. Not quite the impression you’re given is it? Not that I’m excessively pro-wind, I’m just anti-propaganda. People don’t seem to think too much about the whole picture, who’s shoveling the disinformation and why they might be doing it. Another cute bit of dis/misinformation is that environmentalists stopped nuclear power in Europe. It was actually an easy decision to go with gas because it was much cheaper at the time once privatisation had uncovered all those hidden costs of nuclear. Now of course gas isn’t so cheap and is getting scarce, which is the main reason that the UK is switching back to nuclear, it’s nothing to do with global warming – that’s just rhetoric to please the chattering classes. JamesG, I agree with you. The only thing about wind power is that it is entirely inadequate to the task of supporting modern civilization. Without subsidies, the sight of a windmill would be a tourist attraction, instead of wind farms being a blight on the landscape — as snobbish elitists like Kennedy and Gore attest. 1. Coal is very inexpensive. The world’s poor need inexpensive warmth, because without inexpensive heat many would actually die of the cold. The poor also need inexpensive electricity. Try using a washboard some time. 2. Coal emissions using scrubber technology are extremely clean. Scrubbers remove 99.999% of all particulates, leaving only combustion byproducts of mostly CO2 and some H2O. Coal emissions are on a par with natural gas emissions. The pictures shown by anti-coal propagandists, with clouds of black smoke belching out into the sky, are false. In reality, there are no visible emissions from coal plant stacks. 3. Coal use adds beneficial CO2 to an atmosphere that is starved of CO2, boosting plant growth. The notion that changing the non-CO2 portion of the atmosphere from 99.00038 to 99.00050 will cause calamity is nonsense. A little more of this beneficial trace gas will go a long way in making this a better world for both plants and animals. And it will help the poor more than anyone. Being anti-coal is being anti-poor people. But then, enviros have never given a damn about the less fortunate. The U.S. alone has over five centuries of coal reserves at present rates of use. It is irresponsible to leave it in the ground, thereby putting an added burden on the poor [and on the rest of us] who don’t need the extra expense. No one ever said the globe didnt warm. Why do you guys keep bringing that up? Are you deniers that no one says the earth didn’t warm? You might be pleasantly surprised to learn that the Greenpeace energy plan (downloadable from their site) projects coal use at the same level pretty much for the remainder of the century or until it runs out, principally for the same reason that you state – that poverty reduction requires it. It’s the kneejerk anti-capitalists who don’t seem to give a hoot about the poor in the world. Yes some of these nutjobs have attached themselves to green organizations but there are still many real environmentalists on the ground helping the poor out directly via appropriate technology, and not just loftily talking about it. Environmentalists have been hoodwinked by these grant-chasing scientists just as much as anyone else and it’s a great shame because it has detracted attention from other important environmental issues which are real. Obama’s appointment for NOAA chief administrator, Jane Lubchenko, will be a real advocate for climate change regulation. She was confirmed on March 19. She’s smart. A recipient of MacArthur “Genius” award, background in Marine ecology, and has held a leadership position with the Pew Foundation. Pew grants underwrite several environmental groups masquerading under other names. One of these is presently battling Maine’s marine fishing industry. More to the point, now that she’s in office, she promises to be a “non-advocacy” administrator for “science”. How sincerely she intends to hew to the scientific objectivity can be seen in the mission statement of her website, “Climate Central”, where John Holdren served (s?) as the president of her board of directors. Climate Central’s mission is to provide factual information to help the public and policymakers make sound choices about climate change. Climate Central’s vision is to be the reliable up-to-date source of climate information, presented in compelling and effective ways that reach large and influential audiences. In other words she has been and likely will continue to be a marketer for AGW. No surprise, I suppose. 1.14B short tons of coal were extracted in the US in 2007 (per US EIA). Reserves are estimated at 489B short tons (Jan 2008 EIA). At current digging and usage, thats a 400 year supply. The GP energy plan I looked at had coal and nukes gone by 2050, replaced by a miraculous 95% renewables. Seems fairly unrealistic. More like a recovery to pre-depression rates. What little spike there is (a few million metric tons of carbon) would only change atmospheric CO2 levels by less than 1 ppm. Not enough to even be noticed. Did anyone figure out how Dyson got the minimum digits solution in his head to that problem mentioned in the article (an integer where moving the least significant digit to the most significant digit doubles it)? I could work out how to get the answer but no way do the arithmetic to produce it in a few seconds without a pen & paper. Doubling it has an interesting property! READ THE LAST STATEMENT. JACKPOT! “It is one thing for the puff-piece profilers at the NYT magazine to give the eccentric Dr. Dyson a forum and a free pass to say whatever anti-scientific nonsense comes into his head at the moment — but if the top climate science reporter for the entire New York Times thinks “Dyson may be right,” then may be the newspaper should simply dump their entire climate-reporting staff and start from scratch. As we have noted to Mr. Revkin, the Times Climate reporting is mostly concerned with population – a legitimate concern. It is our suggestion that the Times and Mr. Revkin redirect their Climate section to address the population issue head on. Thinking people on Earth can handle it. And, without the burden of fictional climate disaster hanging over our heads – we can better address the issues directly responsible for population imbalance. Somewhat OT, I’ve had the pleasure of a brief discussion with Professor Dyson during a celebration of John Wheeler’s birthday. He is immediately fascinating and, per this story, even a bit “puckish” – to his infinite credit. MattJ: Dyson seems to be a polymath and a “quick study” who has read and written on a wide variety of scientific topics. He’s not just spouting off his head on the climate issue. He collaborated with scientists at Oak Ridge in studying it decades ago. He’s doubtless, I trust, read the main “pro” literature, and discussed and debated the matter with knowledgeable scientists. No, I don’t buy it, for a number of reasons, which I’ll get into later. But thanks for the link. PPS: In the NYT article, Freeman’s wife is quoted as saying that he has just recently stopped climbing trees. Now if she’d said he has just recently started climbing trees, your conjecture that he’s going ga-ga would have some traction! Sometimes people just get crochety and opinionated as they get old. Hmm, I can think of a few on the AGW side that describes. But the truth, Mattj, is that genius doesn’t ever follow the herd or give a toss for consensus. Actually, natural gas is cheap, and getting cheaper. Nuclear power is far more expensive than natural gas power when nuclear is not subsidized by government. It seems James “Indiana” Hansen is to release a paper entitled in his words (“Worshiping the Temple of Doom”) . He is perfectly entitled to voice an opinion,as do the contrariness as he also states. However the “colorful” language and timing is obvious so we can identify his “raison d’etre to influence the “press” by an instantaneous “soundbite”(and which will be in the British press within minutes of the release) and the “rent a crowd” protesters who will no doubt respray their placards for the G20 meetings this week. But paleoclimatic studies tell us that we are not sure of the initial conditions,and as historical behavior in ALL dynamic systems is sensitive to initial conditions we can only use the studies to tell us of the stationary states of the historical past(and where often higher temperature states are present when CO2 Is lower eg Pliocence) so the paradox is the rule) When we imitate equations of motion the error rises exponentially introducing a temporal horizon . It is said that people get the politicians they deserve. If so, the people in the U.S. must have been very, very naughty. Wow! Finally a smart person who doesn’t believe that Climate Change is a problem. Just goes to show that you can be smart and wrong. Dyson doesn’t think it’s a problem because for him it’s not. He is 85+. But if he were young and living in an area dependent on glacial runoff, like many highly populated areas, (China, India) or an area which faces destruction of coastal cities, like billions planet-wide, he might think otherwise. You don’t know much about the subject of this site, do you? You can quit worrying about “climate change.” The climate always changes. And there’s nothing you or anyone else can do about it. Joe Romm and Thomas Friedman are launching the heavy ad hominem artillery against that NYT article. “how can anyone take a post seriously that has the insulting title “Freeman Dyson, Climate Crackpot” – an ad hominem attack like that simply does not deserve any response or discussion; neither does Thomas Friedman’s slander of NICHOLAS DAWIDOFF’s well-balanced NYT article”.